Owner Nick Melvin, an Atlanta-based farm-to-table chef, grew up with pickling and used it throughout is culinary career and is still using it. 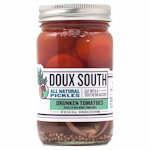 At Doux South they only use fresh vegetable, natural ingredients and no preservative. 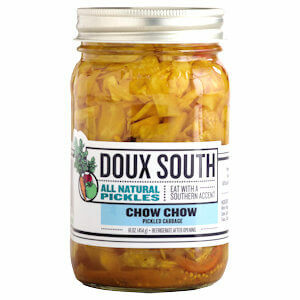 Chow Chow or pickled cabbage is one of Doux South's traditional Southern pickled vegetable; a rough chopped relish of cabbage mixed in a sweet and tart brine. 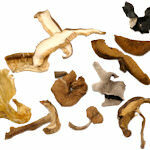 Try Chow Chow in pasta, on hot dogs, in soup, and salads.